It concerns me that the gas station attendant has never heard of Steins. We are one stop away from Steins on New Mexico's Interstate 10. It's basically this gas station, flat desert, some yucca plants, then Steins. I could walk to my destination from here. Granted, I might get sunstroke and also scary close to the vultures on the fences, but the point is we're that close. "Sorry ma'am," he shakes his head. "I don't know that town." I keep calm, knowing Steins doesn't fit everyone's definition of a town. Not since the mid-1940s has Steins had much street traffic. That was when the Southern Pacific Railroad switched from steam to diesel, shutting down this depot town virtually overnight. It's the classic ghost town tale – a settlement of transients and dreamers who fled as abruptly as they came – except that Steins was never completely abandoned. It's no small relief to see a woman on the porch of the old town store, under the chipped white letters, STEINS MERCANTILE. There's a cattle grate to bump over, and just past it, an outburst of prickly pear cacti, holding their pert needles up to the desert sun. It's just after 9 a.m. and already, the desert's cooking. The woman stands and watches me pull up – apparently, I'm today's first guest. Steins, after a full year of closure, just reopened in May. I scoured the web for an official site to confirm its new hours, but all the search results led me instead to the story of Larry Link. That is so cool! I've been to Stein's a couple of times but every time I go there the place is closed so I never get to see what's in the buildings. It looks pretty cool from the photos though. I'm going to have to stop back by the next time I'm out that way. There's another ghost town just a few miles down the road called Shakespeare. There's actually quite a few of them in the Southwest. Most of them have been picked clean by souvenir hunters and vandals so there's not much left to see. Stein's seems to be an exception to that rule. I bet it was some illegal immigrants who murdered the old owner. There are a lot of them in that area. 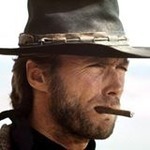 It's still pretty much the wild west out there. The last time I was heading out that way I heard on the radio that a guy riding a jet ski on a lake on the border had been chased after and shot by some drug smugglers because he accidentally got too close to one of their drug deals. The Southwest isn't the type of place you want to let your guard down. I think I drove by there a couple of times in the truck. I didn't see any ghosts tho so I didn't stop. I don't think my truck would fit down that tiny old road anyhow. I have a question. Why do they call ghost towns ghost towns if there are no ghosts in them? They call them ghost towns because they are practically dead. They are just a shadow of their former selves. I'm sure some ghost towns do have ghosts in them but since nobody lives there they probably aren't seen much. 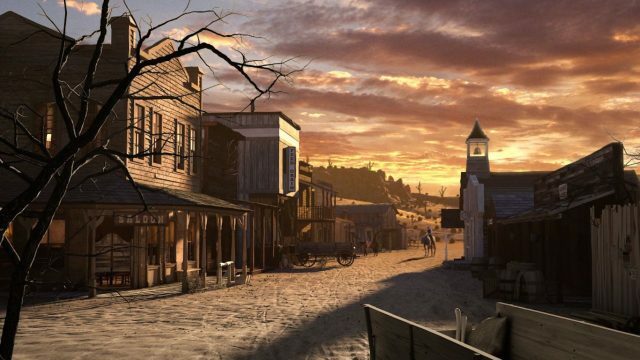 I wonder what it would be like to spend the night in a ghost town? I bet it would be pretty cool. Beg to differ but you got it wrong. Most haunted , as in by ghosts, is Gettysburg, PA. Town and battlefield. I grew up in an area strewn with so-called 'ghost-towns', often I was the only person to visit these locations in dozens of years, all way out in the desert, in my Willis Jeep, and frankly, its my opinion, that they WERE JUST EXACTLY as SkyWalker described them to be. They were towns that were, DeadNGone, so-to-speak, DeadNGone. Heh heh heh. If there were any ghosts in those towns, they were haunting each other, but have ya noticed that ghosts only haunt the living? Heh heh heh, ya know what I mean? I drove west out of Denver up the ribbon of I-70 that ascends the Rockies, entered the Eisenhower-Johnson Memorial Tunnel -- one of the highest man-made bores on the planet -- and passed a sign announcing the Continental Divide. Under all that rock, the mountains seemed enormous and the highway seemed almost comically impermanent. My goal was to visit a number of ghost towns and the ruins of long-shuttered mines, abandoned after the boom and bust cycles that have touched the extreme elevations of the state since the end of the Civil War. But truly deserted corners were harder to find than I expected -- instead I found monuments to the iron will of the people who dared to settle some of the highest peaks on our continent. Central City, 38 miles outside Denver, was, for a brief time, in contention to become the capitol of the state. A mining boomtown dubbed the richest square mile on Earth during the roaring 1880s, its downtown would seem frozen in amber but for the small-scale casinos that occupy the storefronts along Main Street. It's here, on the very first day of my trip in search of "ghost towns," that I'm informed by locals that the phrase I'm using is none too popular in the high elevations of Colorado. These may not be flush times for many of the small towns that dot mountain passes, but abandoned they are not. Community, I quickly learn, is not defined by declining population statistics but shared civic responsibility; here, that means betting on casinos as a way to generate revenue for historic preservation. Higher in the mountains, I reach Leadville, once so prosperous that it was the second-largest city in the state. According to an 1885 encyclopedia of Colorado, when the population was roughly 16,000, Leadville had 5,000 men directly engaged in mining, along with 52 physicians, 96 lawyers, 13 hotels, 10 lumber yards, eight schools and three separate Masons lodges. "Mining companies," the guide says, "there are hardly enough figures to enumerate them or the mines in the vicinity." Today, all but a handful stand abandoned, as the town tries to rebuild its economy on tourism, a challenging task for a destination without a ski resort --the closest Ski Cooper is 10 miles north of town and about a sixth the size of Copper Mountain. One success story is the Leadville Race Series that invites runners and bikers to test their endurance above 10,000 feet. If I knew the date and place this occurred I could probably find a write up of his murder. His name was John Taylor. He went to California . One of the first who went to the gold rush. His partner build a General Supply Store inside the town. I sure would like to know the name of the town. No one one knows anymore about his partner. She lost the farm . Had to raise nine kids. I do not know where her means came from . I'm sure it was hard work . My brother is on the phone now. He says the old partner passed away from some type of fever shortly after. Well who got the mine? Abandoned places have always drawn to them tales of the creepy and strange. There is something about a location that once was full of life falling to ruin that generates such stories, an inherit oddness to the worn out carcass of a once thriving place that invites such tales and ghostly phenomena. There are many accounts of derelict locations throughout the world that have become ground zero for all manner of weirdness, and one of these is a ghost town squatting out in the desert of Arizona, in the United States. It is a place of colorful history, death, and of numerous hauntings that continue to gain attention to this day. Sitting out in the arid badlands of Arizona, up in in the Black Hills of Yavapai County between the cities of Flagstaff and Prescott is the town of Jerome. Founded in 1876 after claims were placed on large copper reserves in the area, Jerome sprung up out of the dry, cracked earth of these hills as a mining town, and at first was a mere dusty collection of ragtag tents. This would quickly change as more and more copper was found, as well as gold, silver, and zinc, and mining companies began to flock to the place, permanent structures were built at a steady clip, and the population quickly skyrocketed until this was a thriving boom town that would go on to boast a population of around 15,000 people in its heyday. In order to entertain the thousands of miners and the ever growing population, numerous brothels, saloons, restaurants, and even opium dens began to sprout up here like weeds, and the town became rather notorious for its more unsavory elements and nafarious denizens. Indeed, in addition to its fame as a mining hotspot, Jerome also became equally infamous for its sprawling red light district and the large number of criminals, gamblers, and drug addicts crawling about, to the point that at one point it was once crowned as the “Wickedest City in the West” by newspapers of the era, a wretched hive of scum and villainy where you were just as likely to get shot, stabbed, or beaten as strike it rich. For all of its success and riches, it was not meant to last, and by the time of the Great Depression Jerome’s mines had begun to dry up, sending its residents to scatter away in search of greener pastures. By the 1950s the mines’ riches had all but vanished, the population nosediving until only between 50 and 100 souls called this dry husk of a place home. It seemed that this once flourishing town was now withered, gasping, and destined to die a slow death out under the desert sun. For the most part this is exactly what happened, the all-but abandoned town becoming a feral, windswept collection of crumbling ruins seemingly destined to be re-absorbed by the desolate landscape from which it had all sprung. Quite interestingly there would be quite an odd turn of events starting from the 1970s, when a community of artists, musicians, writers, and other creative types began to move into the dying town and reinvigorated it by promoting it as a sort of tourist attraction, setting up a Historical Society to manage it and giving it nicknames such as “America’s Largest Ghost Town” and “America’s First Ghost City.” Before long visitors began coming in to this historic but forgotten dried up place to get a glimpse of a bygone era, and Jerome enjoyed somewhat of a resurrection even as the permanent population crawled up past 500. 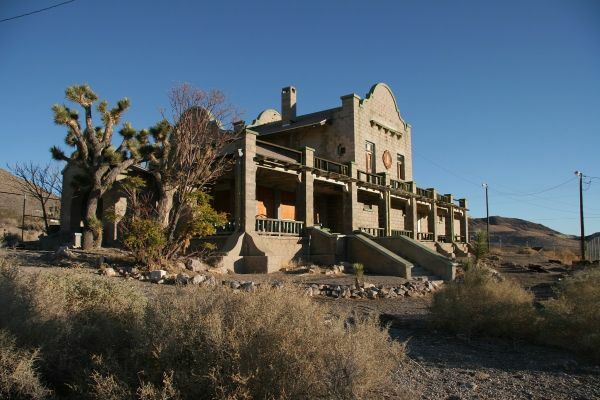 No small part of the town’s renewed interest is that Jerome seems to be more than just a “Ghost Town” in name only, and is actually known for being inhabited by a good number of real ghosts, indeed often considered the most haunted ghost town in America. 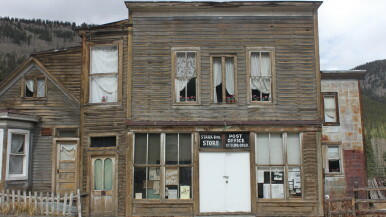 With the town’s previous violent reputation as a den of villains, shady dealings, and deaths, as well as the numerous mining accidents that claimed many lives, it is perhaps no surprise at all that Jerome should be haunted, but the sheer number of supposedly spook infested places here is still rather impressive. One of the more famous of these is the former Lawrence Memorial Hall, which presently serves as the town’s Community Center and is perhaps more well-known for its nickname “Spook Hall.” According to the tale, the building was erected atop what was once an area of simple shacks that prostitutes used for conducting business. One of these ladies of the night was supposedly stabbed to death here, and her ghost has been frequently seen prowling the building ever since, wandering about the rooms and often knocking things over. In Jerome’s heyday it actually wasn’t all that uncommon for prostitutes to turn up dead, and many of the town’s more haunted places originate in this fact. Indeed, the former Red Light District, often called Husband’s Alley back in the day, is said to be plagued by the ghosts of these lost souls, with visitors claiming that the disembodied voices of young women calling out to potential customers can still be heard in the night even when no one else is around. Here the apparition of a murdered prostitute named Sammie Dean can allegedly also be seen wandering around in a daze, supposedly eternally searching for her killer. One of the most popular Bordellos of the time is also one of the most haunted places to be found here. Called The Mile High Inn and located right off of Husband’s Alley, this was the place of business of a Madam Jennie Bauters, and it was by far one of the most popular places to go for men looking for a little company at the time. Jennie would allegedly be killed by a guest, and the building has been intensely haunted ever since by a wide range of spirits. Of course the most well-known of these is Jennie herself, who is known to go about putting things away and moving objects around, and is quite notorious for doing this in the presence of maids. She is also said to be very active in the kitchen and restaurant area. In addition there is the ghost of an elderly man wearing work clothes and a felt hat, who is seen wandering around or peering in from widows, as well as leaving his indentation on beds and rearranging pictures on the walls. No one is quite sure who this gentleman is supposed to be, but he is apparently very active. Another ghost at the Inn is a younger man with a face plastered into a perpetual scowl, who lingers about the Victorian Rose Room and Inn restaurant, and is said to enjoy spooking guests by appearing before them or poking or pushing them. Stranger still is a mysterious phantom cat said to prowl about leaving inexplicable footprints and brushing up against people, and is said to at time look so real that people will actually bend down to pick it up, upon which it melts away and vanishes into thin air right before their startled eyes. In addition to all of this the Inn is host to a wide variety of assorted paranormal phenomena, including the anomalous smell of perfume or roses that comes and goes without warning, moving objects, lights and faucets that turn on or off for no reason, disembodied footsteps and voices all about, a statue that apparently always turns around by itself to face the other way, and others. The kitchen and restaurant are apparently the most haunted of all, and guests have told of plates and cups being knocked off the table or out of their hands by unseen forces. The Mile High Inn is still in operation as a hotel today if you are ever in town and feeling brave. Speaking of haunted hotels, Jerome has more than its fair share. Another such place is The Grand Hotel, which is often said to be even more haunted than the Mile High Inn. The origins of this particular haunting lie in the fact that the building was once the town’s mining hospital, which tended to the wounded men who had been involved in the area’s countless mining accidents, and which was also the last place they would ever see. The most notorious ghost here is that of what appears to be an old man in vintage miner clothing, who is said to particularly like turning off lights or appearing from nowhere to startle guests, and is also blamed for the frequent phone calls that come from vacant rooms of the hotel to the lobby, only for the person on the other end to hang up. Other ghosts of assorted miners are said to mill about in the hotel lobby, where they have a habit of moving around the furniture and jostling guests. There is also often the sound of disembodied gasping and wheezing heard throughout the hotel. The elevator of the Grand Hotel is also said to be haunted by a maintenance man named Claude Harvey, who died here under mysterious circumstances, his body discovered pinned under the elevator. It would later be found that he had been most likely murdered and his body dumped into the elevator shaft, but whatever the cause of his death his ghost doesn’t seem to be going anywhere. Harvey is known to push the buttons of the elevator as frightened guests look on, and is blamed for the lights flickering or going out even when the elevator is in perfect working order. On occasion he has materialized right in the elevator car as an apparition, only to blink out of existence as suddenly as he appeared. Other assorted ghosts of the hotel include a child who runs about giggling, a woman in a white dress, a man in a wheelchair, a nurse, a woman who supposedly died in childbirth, and a spectral dog, among others, and the hotel is a popular destination for paranormal investigators. Also haunted is the somewhat lesser known Connor Hotel, which at one time was a popular and rather luxurious place to stay during Jerome’s boom years. Founded in 1898 by David Connor, in later years it has gained a reputation for being very haunted indeed. One of the location’s ghosts is Conner himself, who is often seen standing at the windows or Room 1 looking off into the distance, only to vanish. Indeed, it is Room 1 where most spirit activity is said to occur, with another ghost of a woman in red often seen here and all manner of paranormal activity associated with the room, to the point that it is rarely rented out. The hotel’s bar is also said to be fairly haunted, with the woman in red appearing here as well, often popping up right next to customers to give them a fright, and Connor’s ghost can sometimes be seen here sitting forlornly over a drink. There are other supposedly haunted places besides red light districts and hotels in Jerome. One of the spookier such hauntings orbits the old abandoned mines that fan out in a sprawling network of 88 miles of perilous subterranean tunnels. Down here in these depths many a miner met their demise in an era when safety precautions were more of a guideline than a rule, and one of these was supposedly a miner known only as Charlie, who was decapitated in a horrible accident here, made all the more mysterious in that his head was apparently never found. However, for years the spectral form of a headless miner called “Headless Charlie” has been reported to stumble around through the murk of the tunnels, presumably still looking for his missing head. The haunted mines of Jerome are also known to spew forth unearthly moans, screams, and howls. Last but not least, what haunted town would be complete without its own haunted cemetery? Jerome has several of these as well. Just outside of town is Hogback Cemetery, an overgrown, unkempt plot of weeds and decrepit, broken headstones dating back to Jerome’s founding, and which is said to be stalked by shadowy wraiths and restless spirits. There is also the historic Jerome Valley Cemetery, also called the Lower Jerome Cemetery, which opened in 1917 and was quickly inundated with the bodies of victims of a deadly influenza outbreak in 1918. Over the years most of the locations of these graves have been lost due to missing grave markers and incomplete records, so it is unknown just how many people were buried here. What is known is that it is widely rumored to be heavily haunted, with apparitions, mystery lights, and shadow figures commonly reported from here. Jerome is certainly a place worth visiting, with its many quaint galleries, shops, restaurants, and museums as well as its historic buildings and colorful past. If anyone really wants to get the feeling that they have stepped straight into the old wild west, this is the place for you. However, it also appears to be a place full of the ghosts of the past, both figuratively and literally, and with so many haunted places it sometimes seems that the ghosts almost outnumber the full time residents. In fact, ghost tours have become a popular tourist attraction here in recent years, so one can take in the historical sites in the day and then go looking for specters and ghouls at night.